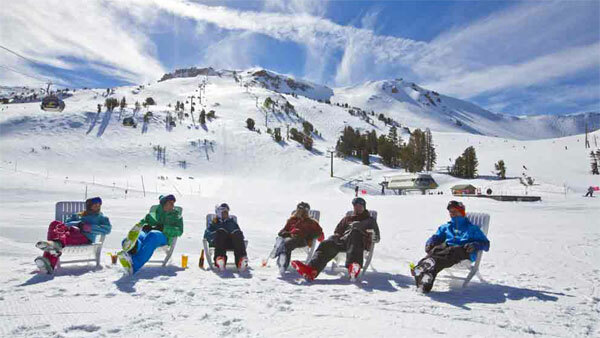 Just over six hours drive from LA, Mammoth Mountain is California's playground - great for sun tans as well as snow - and a mecca for Park Rats. Here the sun shines for an average of 300 days a year, the snow fall amounts to over 30 feet and, at 3,369m, the resort can stay open till July. Lifelong skier, Kristin Rust, International Sales And Marketing, gives the low down on the Mammoth high life. 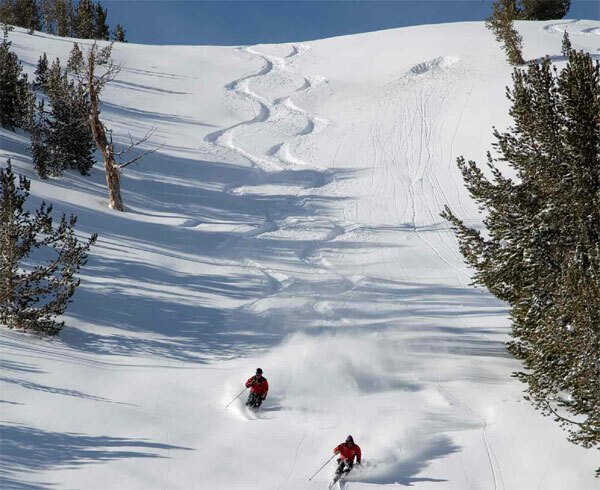 Mammoth is the highest skiable terrain in California, with light dry snow that is not shy about being measured in feet and not inches. Mammoth is also on the border of Yosemite National Park, offering some of the most stunning and iconic vistas in the country. What kind of skier/boarder comes to Mammoth? All kinds really. The mountain is huge with something for every type of person on the mountain, including double black bowls above timberline to gentle family terrain below. Mammoth is a mecca for Park Rats with seven terrain parks, including an Olympic-sized superpipe. LA heads up over the weekends, while you’ll hear languages from around the world on the lifts throughout the winter. Do you ski/snowboard/other? How often do you get out on the hill? I am a lifelong skier and get on the hill as much as I can, which is often enough thanks to my job. Guess you know it like the back of your hand? What is your favourite run/route? I’m a big fan of the High Five Express Chair – open terrain and there’s rarely anyone there. Where will we find you when you are not on the hill – or working? I love getting a drink in the lobby of the Tamarack Lodge. It’s the original 1920s fishing lodge set on two small lakes with roaring fireplace, complete bar, and cozy atmosphere after a hard day on the hill. Which is the best bar in town? And why? The Side Door in the village has a great wine room in the back with extensive wine list that includes champagne. It’s an intimate curved bar, perfect for locals and visitors. And where would you go for the best view? The best view is from the Panorama Gondola from Main Lodge. 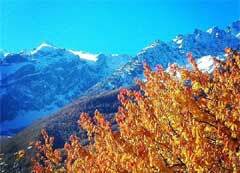 Skiers/riders and tourists can take the gondola to the top for epic views of the Eastern Sierras and Yosemite. Can you tell us about a secret place? (Only our STYLE ALTITUDE followers need know). I’m too chicken but there is another way down the mountain toward Tamarack Lodge when the conditions are just right, through a hole in the cliffs above. Ask any adventurous local. How would you dress to fit in with the Mammoth ski/snowboard regulars? Mammoth is not fancy, and people come to ski, then ski some more, so wear what’s going to rip you down the mountain. But remember that we are LA’s favourite mountain, so do it in style. What is the best time to come to the resort? The bulk of the winter is January – so early April when all 3,500 acres are open and you will be in the snow. Mammoth is a year-round resort, so don’t discount the summers and fall. 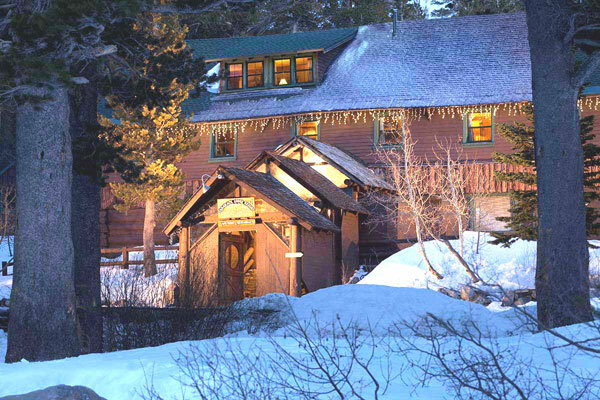 Is there anything else to do in the winter season in Mammoth? Plenty to do off the mountain but still in the snow, including snowmobiling, cross-country skiing, snowshoeing, tubing, hot springs. And so where do you go on holiday? I like to head anywhere I don’t speak the language and don’t recognize the food. Next up – Turkey.